President Trump isn’t the only one calling out Sen. Richard Blumenthal for lying about serving in Vietnam—14 medal of honor recipients have joined the bandwagon and are using it to point out the senator’s hypocrisy on Judge Neil Gorsuch. “The fact you repeatedly and consistently claimed to have served in Vietnam is a gross case of stolen valor in our opinion. You obtained at least five military deferments between 1965 and 1970, at least two of which were seemingly political favors to you so that you could avoid joining us in a war zone,” they write, before listing examples of when the senator ‘inflated’ his record of service. 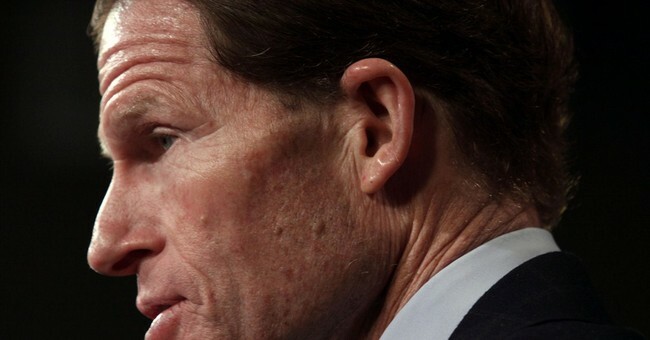 Blumenthal’s duties during the war appear to have consisted of recycling efforts, Toys for Tots campaigns, and aiding in the improvement or construction of facilities. These services, the veterans wrote, are nothing to be ashamed about.